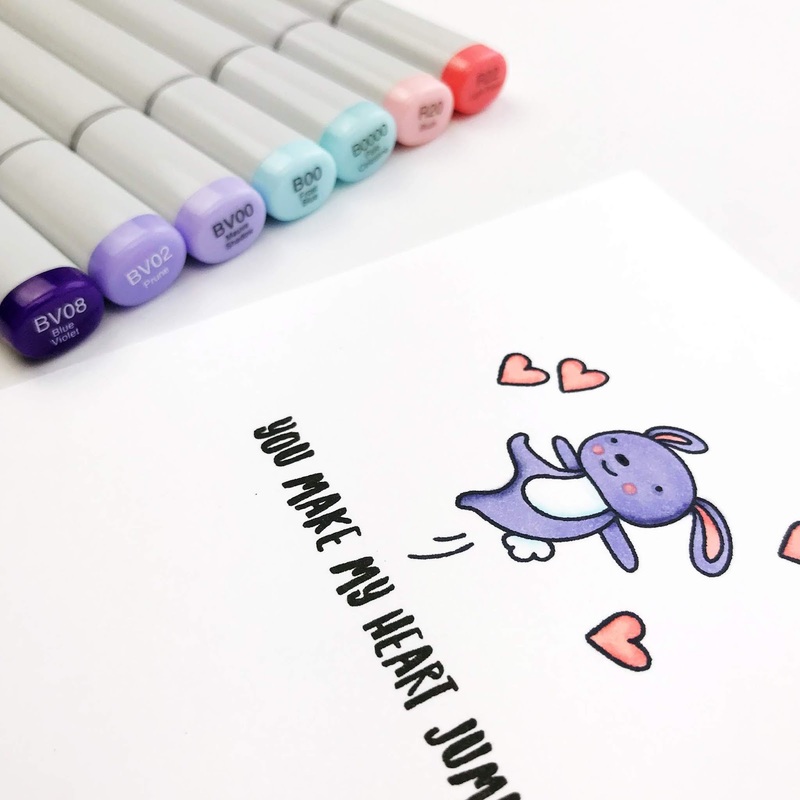 This sweet set has Elena's adorable critters jumping on trampolines and skipping rope! It's so fun!!! I created this little Valentine and got to practice my new BV Copic combo...BV00, BV02 and BV08. Make sure you head over to the Neat & Tangled blog to see what my talented teamies have created. P.S. Please forgive my mess as my blog is under a bit of construction. If you are having trouble leaving a comment, just click the post title and scroll down. This is just precious and adorbs! Just two little lines and this little guy looks like he's leaping with all his might! So cute!! How super adorable! Love your colouring! Fantastic card! 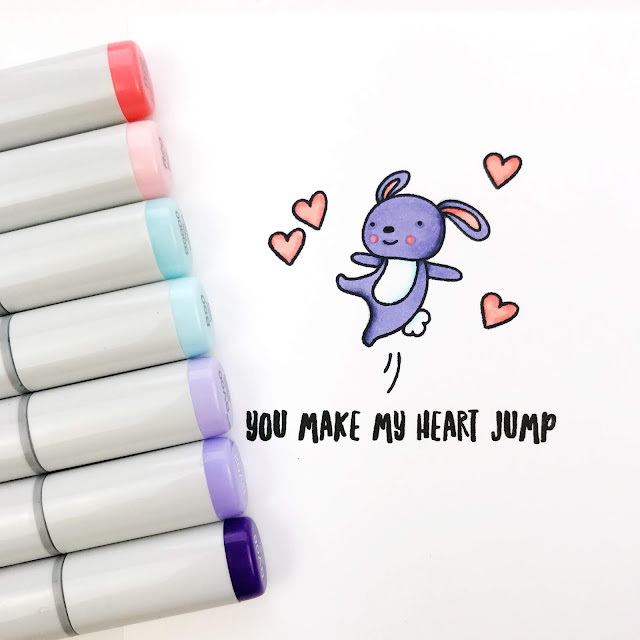 I love the simple design - highlights the bunny and sentiment beautifully! Simple and sooooo adorable! Love this sweet little bunny! What fun, a purple bun!!! Gorgeous card! I love your cute happy bunny!